It may be surprising, but amid this fun, yet serious, visit with Jim McNiel of St. Louis, there are many “laughs!” Not what one might expect from the man known as the “Walking Bible!” But it certainly is an indication that there are so many joys and delightful experiences, amid the trials, of a lifestyle of “walking with the Lord” — and of being “filled” with memorized Scripture running through one’s mind. 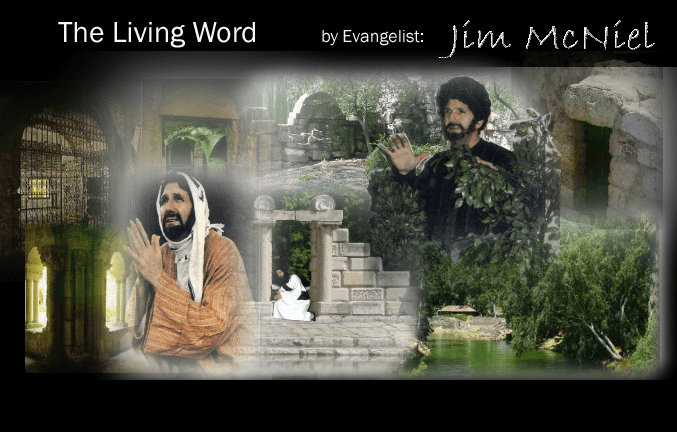 Jim McNiel reveals this reality in our brief conversation together … which is available for listening anytime. Jim describes his memorizing great and extensive passages of the Bible – sometime whole books – as a “gift.” You will be awed as you listen. Check out his website at www.jimmcniel.com. Leave it to Jim, amid more laughs, to make an effective Gospel Witness connected to the movie, “Cockeyed Cowboy from Calico County” with Jack Elam. He tells the story in the recording. More fun! Very, Very Important Insights and Practices That Changed My Life! In this brief radio conversation, I recount my teenage experience of memorizing portions of the Bible. Soon after receiving Jesus into my life as a teenager, I became involved in the “Topical Memory System,” (TMS), sponsored by the Navigators. Over time I memorized many of the System’s recommended Bible verses. I applied their challenge to “review, review, review” to get the verses really entrenched in my mind and heart. And regularly going over and over the verses meant that I would think about them, meditate on them, ponder them and what they meant. And, with the verses becoming entrenched in my mind and heart, the Holy Spirit was teaching me from them. The whole process wonderfully impacted me then and continues to impact me now … more than a half century later. One of my grandsons, Dawson Hendrick, is named after the founder of the Navigators, Dawson Trotman. … The Blind will see, the deaf will hear, the dead will live again, the lame will leap, the dumb will speak the praises of the Lamb.